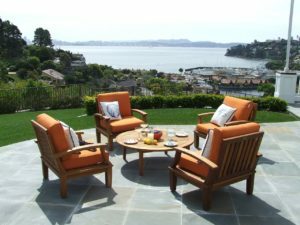 The increased popularity of outdoor spaces has a lot of us investing in newer and nicer outdoor furniture for our homes and businesses. While this furniture is usually created with durability in mind, it is still subject to damage from the weather such as heat, sun, water and freezing temperatures. Taking care of your outdoor furniture over winter will help it last much longer. Perhaps one of the most beautiful outdoor furniture materials is wood. A natural element that can favor many styles makes it a popular choice for homeowners and businesses. 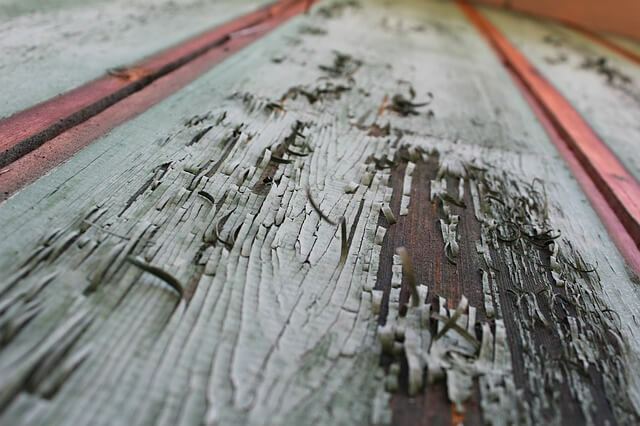 Unfortunately wood patio furniture requires more care to keep it beautiful. Before you store your wood furniture for the winter, wash it with an oil soap made for wood and let it dry completely. Remove any clear fabric cushions as well. Your wood furniture is very susceptible to moisture and is best stored indoors, in a garage, shed or storage facility. Plastic and aluminum furniture is favored for its durability, but that doesn’t make it impervious to damage from winter weather. Start by removing fabric cushions, clean well with soapy water and dry thoroughly. You can also use a coat of protective wax to shield furniture from moisture. Plastic furniture may crack in freezing temperatures, while metal furniture can rust easily, especially where the finish is worn. 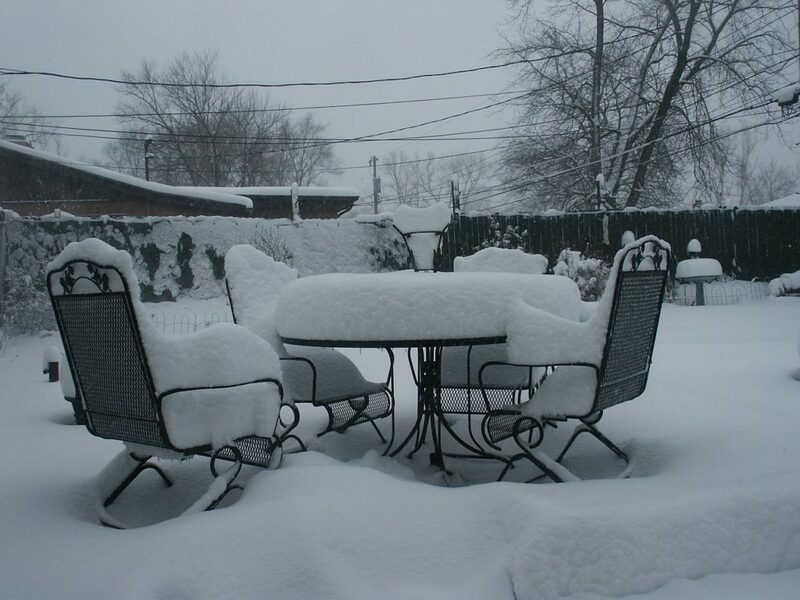 Outdoor furniture stores best under a protective cover if it remains outside over winter. Indoor, climate controlled storage is the best option to protect your furniture from fluctuations in temperature and moisture. Small scale furniture that can collapse or stack is the easiest to store. Remove the cushions and store them in a plastic bin or bag with a tight closure so rodents cannot access. Furniture covers will help protect outdoor furniture from the elements when outside as well as dust when stored indoors. You can purchase pre-fitted covers or use plastic tarps secured with bungee cords to help repel moisture, debris and dust. If your garage or business simply has no room for storing patio furniture, locate a nearby storage unit that offers seasonal or short term storage. Maximize the storage space by storing other seasonal items such as lawn tools, bikes and holiday decorations. Learn more about your storage options at EZ Storage in the Boston metro at our Household Storage page.